Hey fellow penguins! 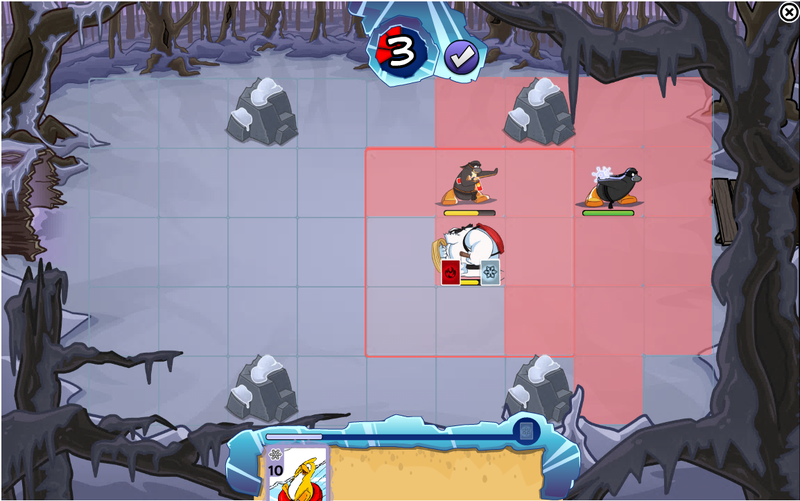 In this post you will learn different tips and tricks on Card-Jitsu Snow. Let’s get started! 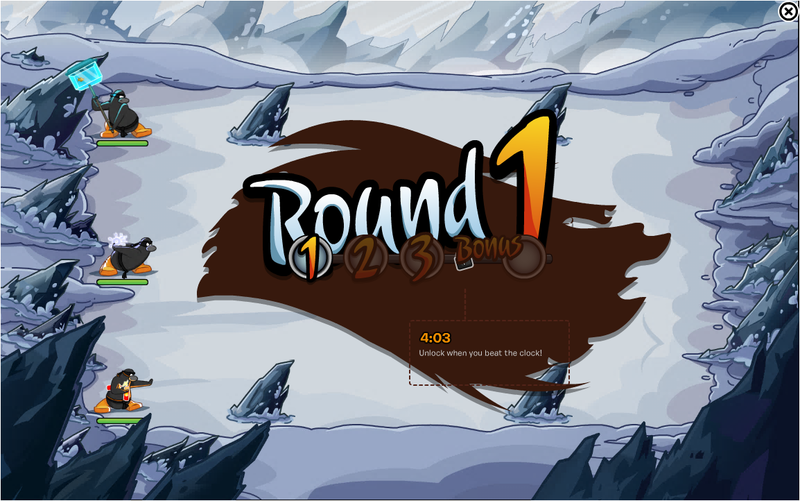 As you can see in the picture above, to get to THIS you need to beat all three rounds in under four minutes. Otherwise the game will end after three rounds. BUT! This varies sometimes. I recently entered the bonus round by none of us falling down from enemy harm. These Ninja Tips that you see while the game is loading are important as they can help you a lot so don’t forget to read them! Use your power cards wisely! Only use them when others use them too so you get awesome combos and defeat the enemies faster. Stun and damage enemies for 3 turns. Double damage + power up to do extra damage on your next hit. Damage enemies + boost ninjas’ health that are in the red box + shield ninjas from the next attack. I am a big fan of the Firefox web browser. 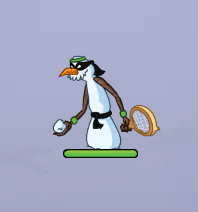 As you will know yesterday was a difficult day to join a game of Card-Jitsu Snow since there were still some bugs. I haven’t noticed them today so I guess the CP team have already fixed them. Anyway, while I was trying to get a game, I tried playing on the Google Chrome web browser. I compared both windows, since I was playing with two penguins at the same time, and noticed that on Google Chrome the gameplay is slighty smoother and faster. 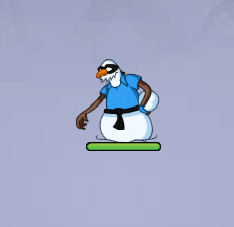 It’s not a big difference but there isn’t as much lag(freeze) as you get on Firefox when playing Card-Jitsu Fire, Water, and Snow. Try it out for yourself and see if you notice anything! Also choose a 2-4 bar server instead of a full 5 one since there are tons of penguins wanting to play the game and this way it won’t lag as much either. This guy can easily defeat you, unless you know how to defeat him first! His Move is set on one tile per turn and he can’t attack diagonally which is really useful in planning next attacks. He can only attack left, right, up, and down. His Range is also set on one tile so he can only attack one tile left, right, up, or down. His Damage is the highest of all with 10 points. His Health is the highest of all with 70 points. 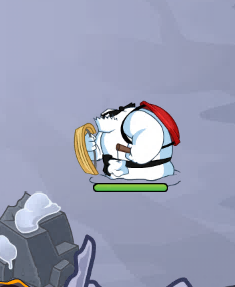 I suggest that if you are a Snow Ninja you should always be out of Tank’s one-tile range and attack him from there even though you do the least damage out of all ninjas. His Move is set on up to 3 tiles per turn. His Range is set on up to 2 tiles distance when he attacks. His Damage is set on 8 points. His Health is set on 30 points. I have discovered that the Water Ninja deals more damage to Sly than to Tank or Scrap. His Move is up to 3 tiles per turn. His Range is up to 3 tiles when he attacks and his attacks affect a 3×3 box around his target, just like when you use your power card. His Health is set on 60 points. Try to stay away from Scrap’s range since he will likely hit you too even if he’s targeting a teammate. The Water Ninja has a total of 38 points of health. The Fire Ninja has a total of 30 points of health. The Ice Ninja has a total of 28 points of health. That’s about it for now! If I discover new things I will post them here. Make sure you are following this blog in order to receive updates on post changes like this one if/when I add more content! 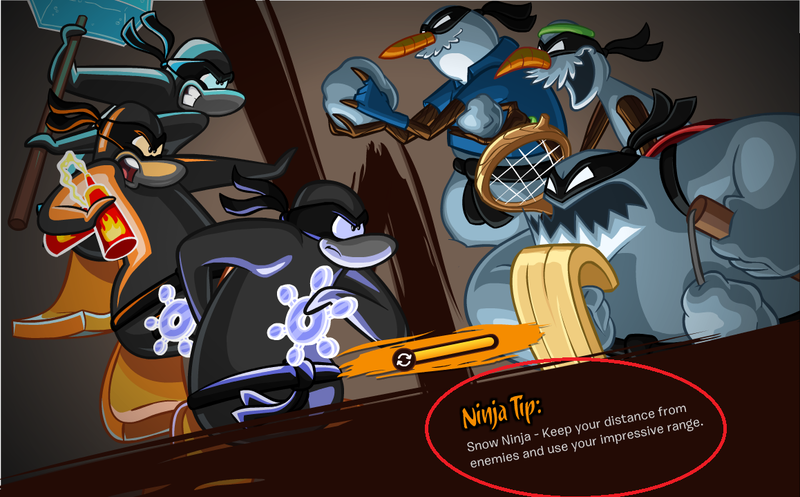 This entry was posted on May 24, 2013 at 11:44 am and is filed under Card-Jitsu, Tips & Tricks. You can follow any responses to this entry through the RSS 2.0 feed. You can leave a response, or trackback from your own site. ty this was very helpful! So who is best for Scraps and Tank? The Water Ninja also since he has the highest damage level. But he deals more damage to Sly than to Scraps or Tank. Maybe Sly just has a low health level. I think they should add a enemy section for which character goes best against Sly, Scraps and Tank. If they will do so, we will have more problem in selecting our elements and the game may become harder. I think club penguin should a chat box , so while fighting players can easily plan their attacks. Do you happen to know how much health each element has as well as how much health each snowman has? I can’t find it anywhere, and I can’t figure it out by playing. -The Water Ninja has 38 points of health. -The Fire Ninja has 30 points of health. 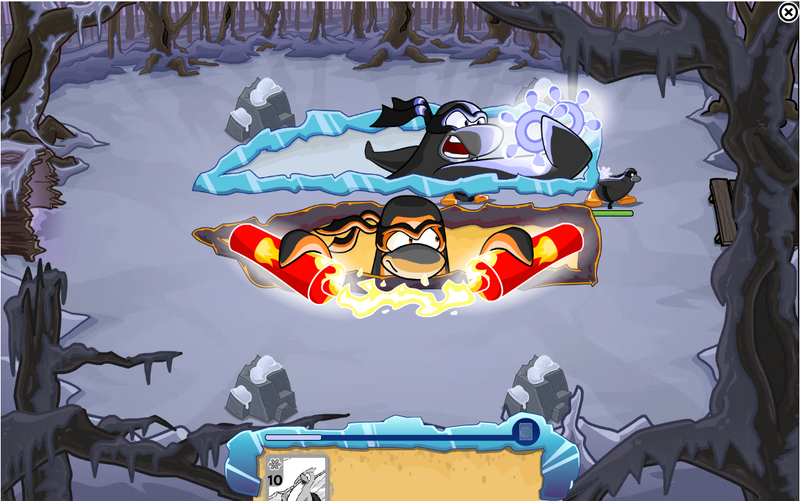 -The Ice Ninja has 28 points of health. -Tank has 70 points of health. -Scrap has 60 points of health. -Sly has 30 points of health. Sweet. Thanks! Oh, one thing I noticed: Sly only does 3 damage if you are standing right next to him when he attacks. i LOVE the new snow game! I’ve played quite a bit, and I’ve made some observations. With Sly and Scrap you were a little inaccurate with their attributes. Damage: 5 at 3 tiles away, 4 at 2 tiles away, and 3 at one tile away. Damage: 8 for the target. 4 for anyone on the 8 tiles surrounding the target. Your health analysis of the snow minions seems accurate, though I think for the ninjas its 25 for snow, 30 for fire, and 35 for water. I could be wrong, but that’s what it seems to me. I really like this game but can’t figure something out. At the start of the game the bar for the power card fills up very quickly. Then after I get the first card it doesn’t fill up. The other elements in the games get many cards and I really want to be able to earn more than one per game. Does anyone know what I am doing wrong? When you are choosing your element, it will tell you how many power cards you have of that element. It all depends on what you have in your deck. I bought physical cards and typed in the codes that came with them, and now I have 3 Water, 4 Snow, and 5 Fire power cards. Some people just have a lot more than others! Tusk is stupid he always win. YAY I DEFEDED TUSK. I EARNT MY SNOW GEM, FIRE GEM AND WATER GEM BUT IT DOES NOT DO ANYTHING!!!!!!!!! yes!!!!!!!!!!!!!!!!!!!!!!!!!!!!!!!!!!!!!!!!!!!!!!!!!!!!!!!!!!!!!!!!!!!!!!!!!!!!!!!!!!!!!!!!!!!!!!!!!!!!!!!!!!!!!!!!!!!!!!!!!!!!!!!!!!!!!!!!!!!!!!!!!!!!!!!!!!!!!!!!!!!!!!!!!!! I got an snow gem pin I LOVE IT!!!! Arrrrrrgggggggghhhhh my next game was terribbllleeee. No one revive me and now we didn’t even win the first round! YAY I GOT ALL THE CARD JISU SNOW STAMPS!!! I just got 10 new power cards by buying plus another tip!!! He is hard to defeat but my team mates were reviving me and I was also reviving my other team mates. Wow Club Penguin card jisu snow is the best of all!!! Finally I finish my snow jorney. It took me 72 games o finish the jorney. How Many life points does Tusk Have? This game lags a lot for me. I wish there is another game like card jisu snow. I can win Tusk with only one more player and I am non-member, so easy.